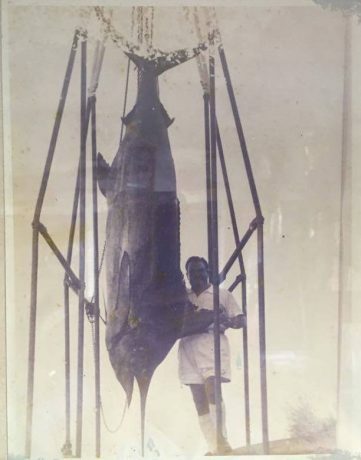 While Sportfisher and Co Ltd is a well respected Big Game Fishing company in Mauritius not many people know of its humble beginnings. Benoit D’Unienville started the company in 1983 with a single boat well before Sunset Boulevard was even constructed. At the beginning of the Sportfisher Benoit practically lived in his boat. Shortly after getting married he managed to save until he finally managed to afford to rent a small office out of the then Ile de France Hotel which preceded the development of Sunset Boulevard in Grand Baie. Jacques D’Unienville, Benoit D’Unienville’s Father played an important role in Sportfishers inception. 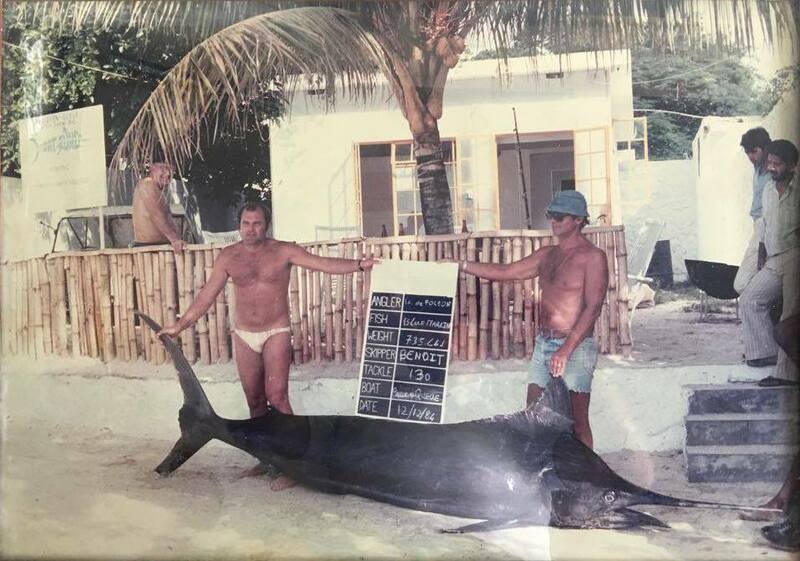 Having fished together since Benoit was a child they were both passionate anglers who later on would play an important role in Pioneering and popularising the sport of Big Game Fishing in Mauritius. 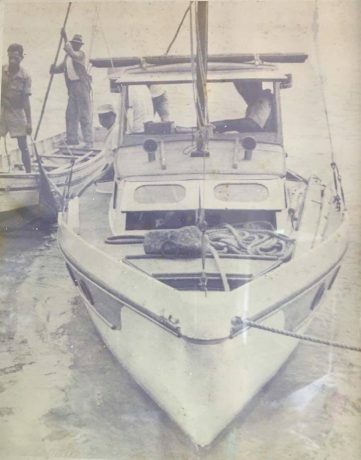 It was during one of their many fishing trips that Jacques came up with the name PAILLE-EN-QUEUE for their first boat which Benoit has since used for all his boats, in tradition of their fishing adventures together at sea. The PAILLE-EN-QUEUE is a famous Mauritian bird which is even used as an emblem for Air Mauritius, the significance of the bird is that they are often seen soaring across the ocean. 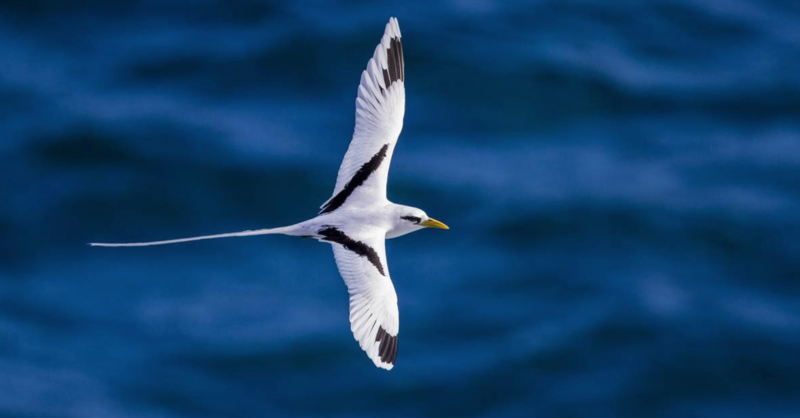 Its great wingspan paired with its long white tail has attributed its nickname to locals as straw tail but it its scientific name is actually Phaethontiform which is the only member of the Phaethontidae Family. They are especially prevalent on the North of Mauritius as they love to nest on the northern tropical islands off the coast of Mauritius. 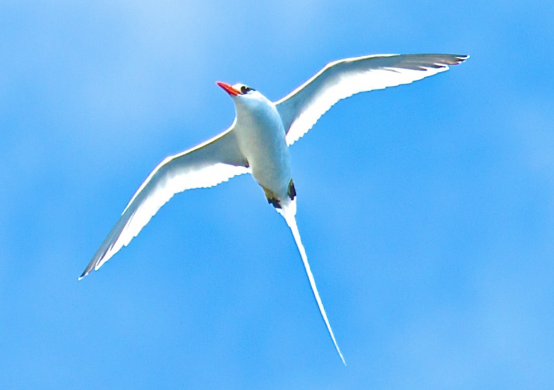 When not nesting the bird can be spotted playing on the rising thermals of Coin De Mire or flying across the wide spread ocean. On very rare occasions the birds can be spotted plunging the surface for fish and squid. As his passion for Big Game Fishing grew Benoit found his companies dedication to his clients spread and begin to establish himself as one of the most reputable big game fishing companies on the island. This reputation allowed him to slowly expand his fleet from a single boat. In 2010 Jean-Paul joined the Sportfisher Crew allowing Benoit to take a backseat in the company with the trust that the company was in safe hands with his nephew. 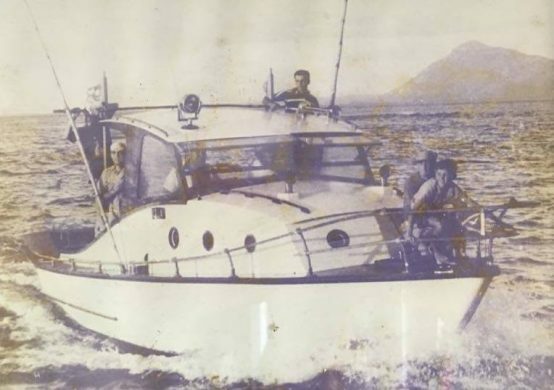 By then Benoit had managed to grow the company from a single humble fishing boat to 3 specialised big game fishing boats, a speed boat and two catamaran. 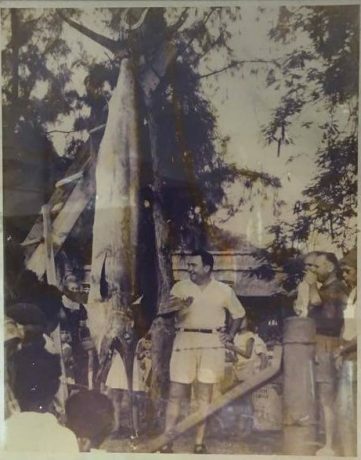 By that time Sportfisher had become well known on the Island among the fishing community as the company who had landed the most ‘granders’ (Marlin weighing over 1000 pounds). Attracting people far and wide chasing the thrill of reeling in such a large majestic fish. Since joining the Team in 2010, Jean-Paul strives to build upon the foundations laid by his Uncle and this can be seen by his loyal clientele who continue to return to the Island for the sole purpose of fishing with the dedicated crew they have grown to love.